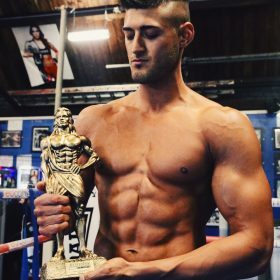 “So for my ukdfba men’s physique win I planned a 12 week prep, which for me the main goal was to hold on to the muscle that I already had as much as possible whilst still burning fat. I did this by gradually cleaning up my diet and becoming even more strict as time went on and checking on how I looked every couple of days. I wasn’t focused on weight because being on stage is all about how you look not how much you weigh, but I did keep track of it once every couple of weeks to make sure I was making steady progress. 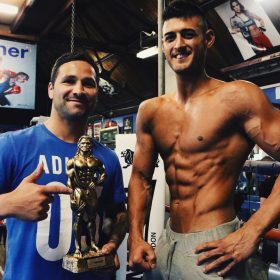 I can tell you that I was 13st 5lb before my prep and on the morning of the show was exactly 12st , hungry and dehydrated by then mind. Keeping an eye on the amount of carbs and total calories I was eating every day was of big importance. Balancing them throughout the 12 weeks was key because too much of those and I wouldn’t burn fat, but too little and I would lose muscle. Cheat meals were used once every 2 weeks to shock my metabolism and also to help with the cravings. I’m quite lucky in the sense that I have a high metabolism so I didn’t have to cut my calories too much or do lots of cardio like some people do. 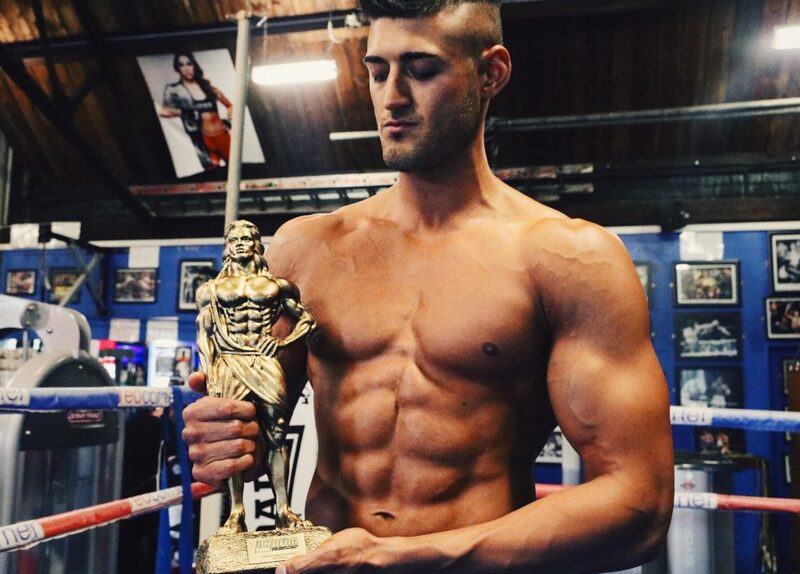 I was training 5-6 times a week for the first 6 weeks of prep (always weights with 1 x cardio per week) and then that went up to 6-7 times during the last few weeks, lifting weights at all times to hold on to the muscle with 2-3 sessions of cardio thrown in per week. I like to train for around an hour and a half per session which allows me the time to hit every exercise that I need each day.